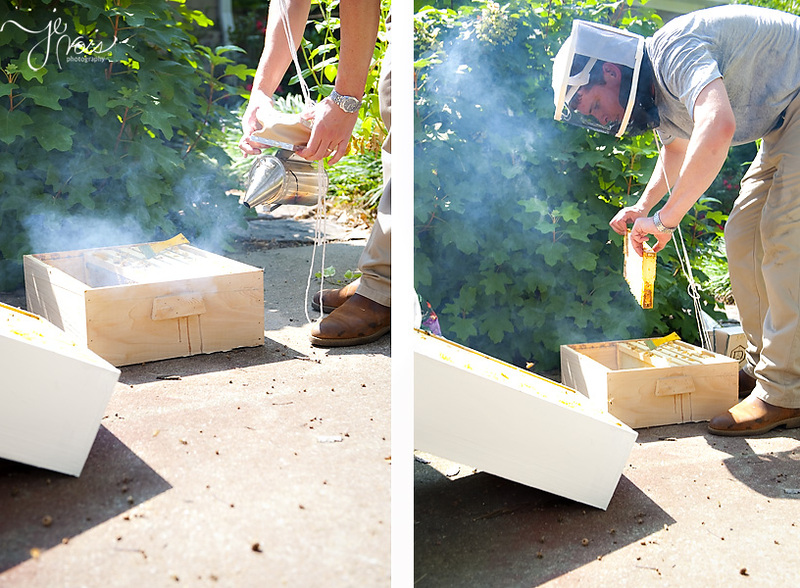 My brother and his beautiful wife Brittany became beekeepers earlier this year. It was a pretty big deal. 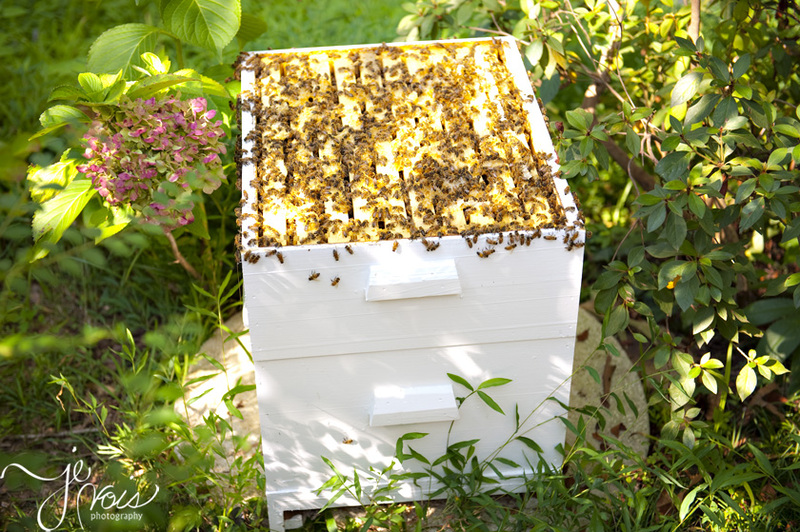 They each had a colony to parent, each with a beautiful white bee box for the bees to inhabit and fill and create honey. Of course, the honey is the main goal. And last weekend was extraction time. Here’s how the process goes. George smokes the bees to calm them down and maybe scatter them a little? (George comment with corrections.) 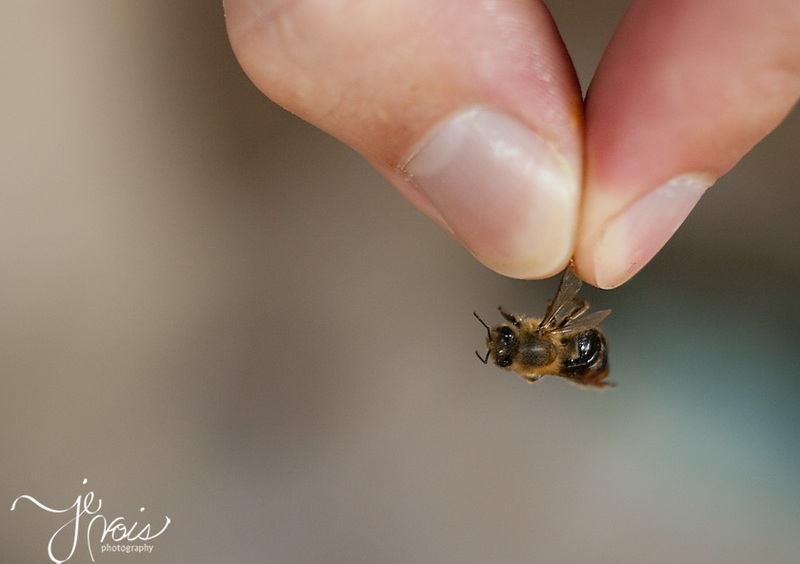 He lifts a shelf full of honeycomb out of the hive. Brittany does this too, but I happened to get George. She even did it without the mask. 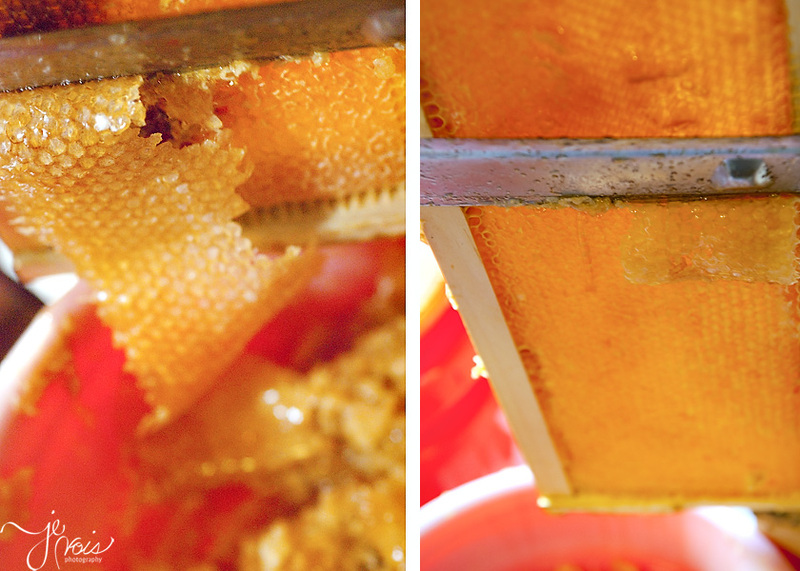 They take it and comb it to scrape the capped honey off and drizzle it into a bucket. Is your mouth watering yet? Next you run a hot knife over it to get ALL of the capped honey and get it really dripping. 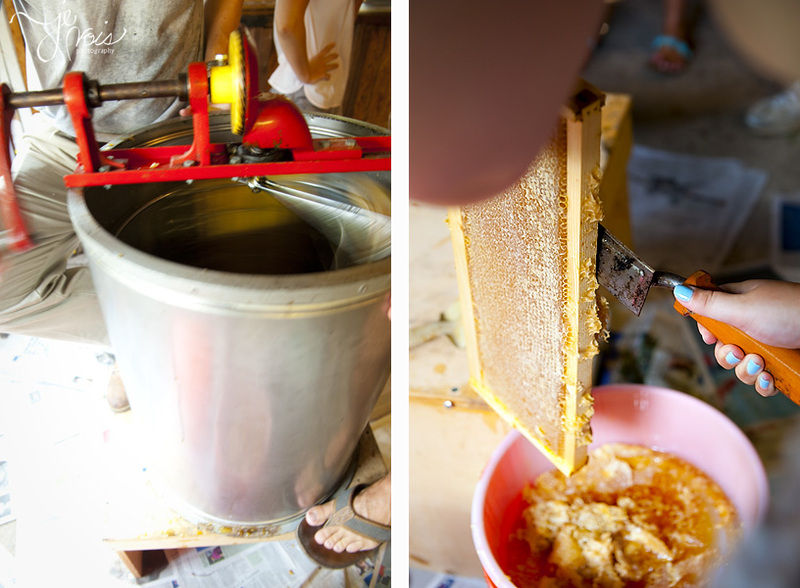 Then you put it into this large contraption, which spins the shelf around and around to get every single bit of honey out. There is a spout at the bottom of the barrel for ease when jarring. Oh my. I can just taste it… George is so into it. They produced over 80 pounds this very first year. And George only got stung twice (by Brittany’s bees, if you want to know.) I can’t wait to get my jar! 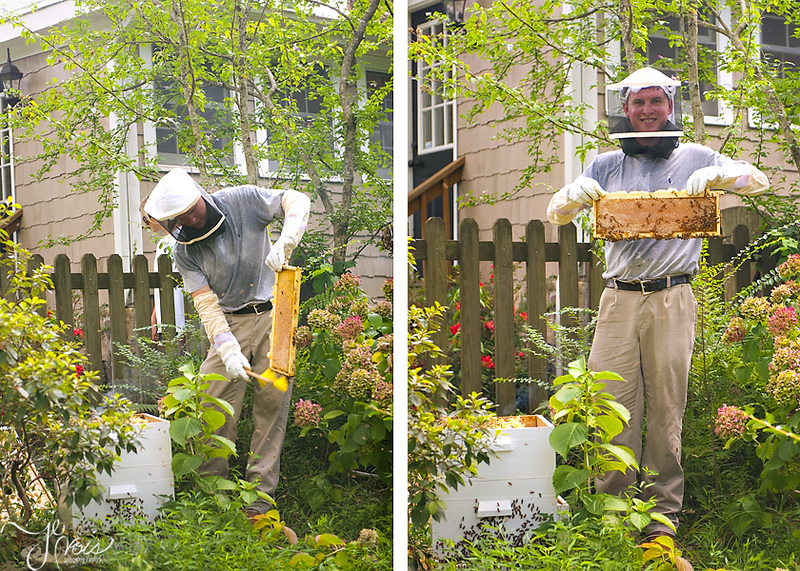 They’ll have it for sale soon, so keep googling Edgewood Bee Company for your very own jar! Ooooh – we’ll be customers! Beautiful pics, as always. 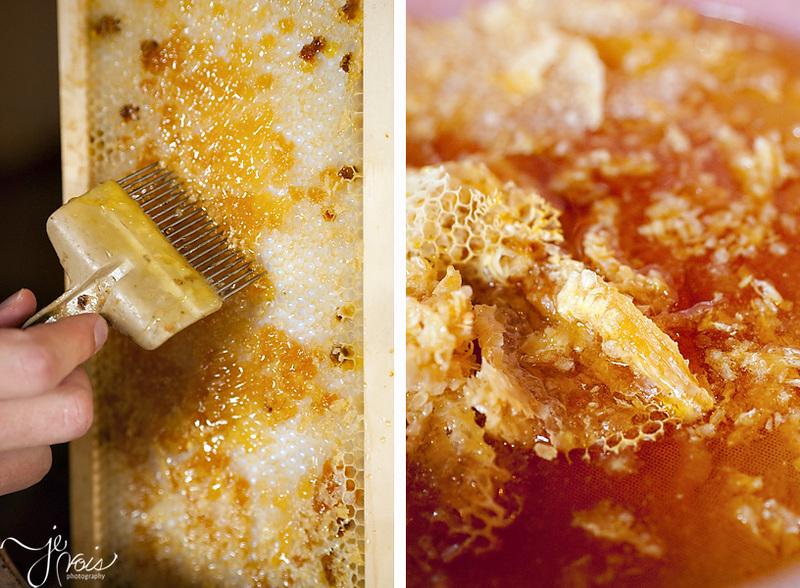 I had some of their honey on our trip to Center Hill this weekend and it tastes as good as it looks in your photos! Granddandy would be so proud! When I was a little girl he used to take us to Blake Gambrells’ house on Ruffner Mtn in East Lake so we could see honey harvesting, but I never saw the whole process. I do remember the smoke & the mask. This is fascinating. fyi, Blake was an old family friend from Walhalla, SC. His granddaughter, Jane Gambrell Curtis from Lakeland, Fl. is often at Sky Valley in the summer when we are there, Her parents, C.B and Olive, aka Sal, own a homeshare in La Costa D. The circle of life is sweet, just like honey:-)! I really really love all of these. You should tell them to watch Pushing Daisies if they haven’t yet, one of the characters keeps bees 🙂 But really, all of those detail shots are just gorgeous.